The Love Story of Popoy and Basha – It's With a "K"
To Filipinos, the Philippine film industry is well-known for one of two things: great comedies and romantic dramas. It’s no surprise that my top three Filipino movies are romantic dramas (“Labs Kita, Okey Ka Lang? (1998)”, “Dahil Mahal Na Mahal Kita (1998)” and “One More Chance (2007)”). 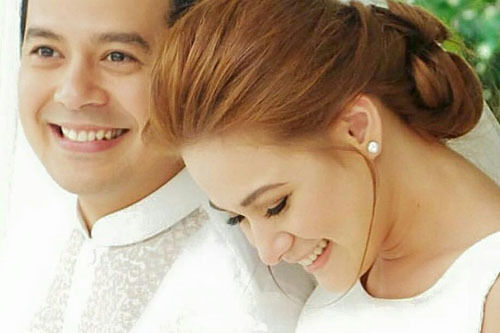 In 2007 we were introduced to the love story of Popoy (John Lloyd Cruz) and Basha (Bea Alonzo) in “One More Chance” – a couple who have been together for five years. Even at the expense of finding their own individual identity, they loved each other. Much more in the first film than the second, we see the journey of Basha finding her own path outside of her relationship with Popoy. The movie focuses on how they try to acclimate to their lives outside of what is comfortable and outside of each others’ lives. Eventually they seemingly move on with their lives – Popoy with his new relationship and with Basha’s renewed love for architecture. But as fate would have it, their paths inevitably cross – and with much credit to their family and barkada. As they each watch how the other has move on, they’re forced to look at if what they have now is what they truly want. Eight years later in “A Second Chance”, we’ve fast-forwarded to moments right before their 7th wedding anniversary – coincidentally right before the infamous “seven-year itch”. When they are forced to revisit the beginning stages of their marriage up to that current point in time, we get to see a more realistic look at married life. Only after the honeymoon phase is over is the durability of a marriage tested. They realize that married life isn’t quite what they envisioned it to be. I find that the problems Popoy and Basha faced were so believable and didn’t lead to a common theme in Filipino shows and movies – adultery. People will, also, find Popoy and Basha’s love story more relevant and more relate-able than other romantic dramas. My take away was when you’re finding it hard to trust in each other, trust in the love you have for one another. Ang lalim, no? I also think fans of the first film will really appreciate the elements from “One More Chance” that are echoed in its sequel – allowing us to recollect the past of Popoy and Basha (i.e. “forever and ever”; loving at one’s best and worst; wondering the what if’s and knowing what is, and so forth). It’s been a long time since I rushed to theaters to watch a Filipino movie – now that I think about it, it was also a John Lloyd-Bea movie, “Close To You” in 2006. Eight years later, I never really thought there would be a follow up to the iconic love story of Popoy and Basha. So, I made it a point to go to the first day and first screening in Los Angeles. I wasn’t at all disappointed. Not even five minutes into the film, I was already a wreck. Bringing back Erik Santos’ “I’ll Never Go” was a great choice – one measure into the song and I was done. Thank goodness for tissue paper and waterproof mascara. It is proven time and time again that there is something truly special and quite magical about the on-screen tandem of John Lloyd and Bea – from their very first film together “My First Romance” to “A Second Chance”. 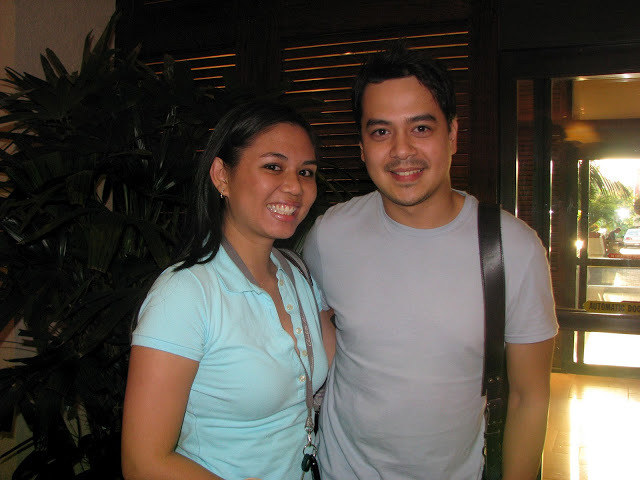 And as a little throwback, here’s me with John Lloyd Cruz (Popoy) taken in September 2009 – you’ll have to excuse the ridiculous grin. It was a happy accident that I met him that day. Little tidbit, I figured out how to add translations to the Tagalog words/phrases when you hover over them. Try it out. I know this was quite a lengthy one, but I was so moved by this film. Till next time!